The World Press Photo Festival reveals the best in photojournalism and visual storytelling at its best. To develop and promote the work of visual journalists and visual storytellers across the globe The World Photo Foundation takes initiative around the globe. To preserve the freedom of visual journalism through the changing scenario and to encourage them express the same freely photo foundation partners with various International Organisations. In today's drastic changing environment the press and photography are changing constantly where the virtual literacy is gaining importance. The change needs to be understood by the audience in the right sense and the transformation need to flourish with creativity. The World Photo Festival visitors could expect a variety of programs including workshops, meetups and presentations with special guests and award winning visual journalists. 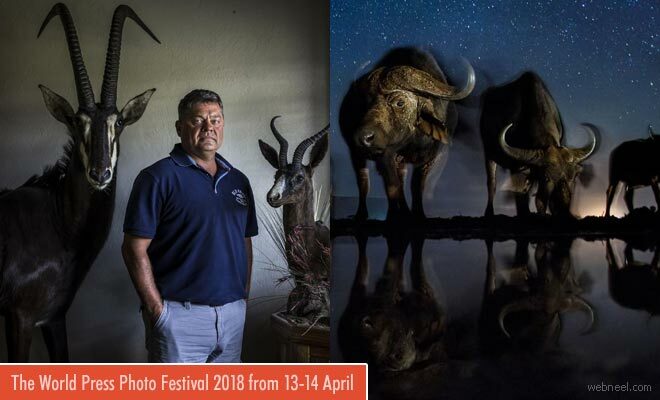 The prize winning works of photo and digital storytelling contests will be displayed in world press photo exhibition 2018 at De Neuwe Kerk during the festival before its world tour.